An initial injury film shows a closed supracondylar femur fracture with an arteriogram done for questionable signs of arterial injury showing a nonocclusive intimal flap of the popliteal artery. Since this arterial injury fit the published criteria for nonop observation, our orthopedic surgeons went ahead and did ORIF. 6 weeks later a F/U angio shows complete resolution of the intimal flap -- unnecessary surgery thus avoided. This illustrates the RULE for nonocclusive arterial injuries, NOT the exception. can you make a better image? The resolution is inadequate to assess the images. All I see is luminal narrowing, consistent with vasospasm. I'll try--there is an intraluminal defect consistent with a flap. with regard to this image i imagine i see what eric is talking about but still think that this could be spasm. Eric any other views? For my education, what are the nonop rx criteria? I have seen a few cases over the years that later occluded, but I am probably referring to a different set of similar, but different injury types. There is an extensive literature on this from the last 14 years The criteria are simply two--an intact vessel with no occlusion or contrast extravasation, and no hard signs of vascular injury in the patient (i.e. bleeding, hematoma, absent pulses, bruit/thrill, distal ischemia--the 5 P's of pain, pallor,paralysis, paresthesias, poikilothermy, or coolness). There has not been a single case ever documented as yet of a case of occlusion of a vessel managed according to these criteria. There is about a 10% failure rate requiring operation--similar to nonop management of liver and spleen injuries--but in every such case, the failure involved development of a false aneurysm. Treatment at this point has been 100% successful in these failures--not a single case of limb loss or even limb morbidity of any sort has yet been documented to result from this management. See Dennis et al, J Trauma 1998;44:243-253. Thanks for the info. Am I correct in assuming the pulses should be totally symmetric? Also, I seem to recall the use of Doppler pressures in one protocol. In our experience, and that of all other published studies, the symmetry of pulses is NOT a hard sign and has no diagnostic value--and no need for further evaluation. If a pulse is present, regardless of quality, AND no other hard signs exist, a vascular injury requiring surgical repair has been excluded with a reliability as good as any other diagnostic modality, approaching 100%. Doppler pressures and duplex ultrasound have no proven benefit for this purpose over and above the phys exam criteria outlined--and, they can easily mislead. A doppler signal does NOT exclude a vascular injury, as a pulse does, as collateral flow around a completely transected vessel can occur, whereas a pulse cannot. We have never used dopplers or duplex in our data, and our results are as good as the best published--altho accurate, this modality is unnecessary. Routine surgical exploration of every vessel for which there is suspicion is also highly accurate--nobody would disagree, right?. However, no one uses it, as it is unnecessary. So--accuracy is not the crucial issue--it is the utility for giving any useful info over and above what the phys exam gives. Yes, many use, and publish experience with Doppler in this setting, and many feel asymmetric pulses mean something, but there is no data to support their benefit--that is, any ADDED utility== whatever, and much to refute it. Thanks for the info. I found the case I was referring to with problems ( I told you I was probably confusing similar but different injuries). A patient presented to an ER with a knee dislocation - pulseless. After reduction the pulse was absent initially, and the ortho MD got an arteriogram. It showed a 2-3 cm occlusive infragenicular popliteal artery injury, with "prompt reconstitution of the distal popliteal via 2 large collaterals". No extravasation was noted. The vascular surgeon noted that when he saw her, the limb was warm , with a diminished pulse, no neurologic findings, and no compartment findings. He elected to observe what he felt was a "nonthreatened limb", and the limb did well for approx 36 hours, when the distal artery thrombosed/ developed compartment syndrome - and you know the rest of the story. Sounds like he did wrong by ignoring the occlusive nature of the injury (a hard sign), even with an apparent "nonthreatened" limb clinically. I think it is cases like these that make ortho surgeons obtain arteriograms on dislocated knees routinely, even though we do a number unnecessarily. You are correct--this was a flawed decision on the part of the vascular surgeon. Not so surprising, tho, as most vascualr surgeons are as unfamiliar with, and uninterested in, trauma, as most general surgeons are, and thus do not keep up with what should be very basic concepts. You're orthopedic colleagues are incorrect, however, in obtaining unnecessary tests because some screw up the proper management of a patient. It is still an unnecessary test, with all the problems relating to unnecessary tests, including adding on costs, risks, having to then scratch one's head about the incidental findings that are then found , and the snowbball just starts rolling. That is what so many physicians give as their excuse--getting the test "defensively" because of malpractice, bad anecdotal experiences, etc--of course the real reason is that blanket testing like that is just a crutch for insecurity in one's knowledge. Rather than admit that tho, and actually sit down like you and read, ask questions, and THINK, it becomes so much easier to substutute lab and x-ray tests when they really do not know what to do, rationalizing that they are doing what is best for the patient--bull! Look what happened here--an unnecessary test was gotten, and it actually WORSENED the outcome! Didn't help at all! Labs and x-rays do NOT in fact substitute at all for poor knowledge and bad judgement. This is the BIG LIE regarding the concept of "defensive medicine" we always hear docs whine and moan about. With the initial presentation, this patient should have simply been taken right up to the OR for popliteal exploration --the clinical picture gave all the info necessary for that decision--no angio was necessary. And that simple decision became the difference between losing and salvaging a leg. "The vascular surgeon noted that when he saw her, the limb was warm , with a diminished pulse, no neurologic findings, and no compartment findings. He elected to observe what he felt was a "nonthreatened limb"
The orthopod did the right thing (angio) for the right reason (absent pulses). The key is axial flow. If it's there, you're OK. If it's not, you've got a baaad problem. The flip side of the pulses vs Doppler issue is that the "elective vascular literature" suggests wounds will heal with an ABI (or PtcO2 index, whatever) >0.6 or so. Well, my experience is that there are wounds and there are wounds. An ABI of 0.6 may heal a toe amp in a 60 year old with chronic PVD and well developed collaterals, but it's a real problem in a multiply traumatized 25 year-old with an open tibia. Still, at 3 AM, that ABI of 0.6 and 2 second capillary refill always seems to look adequate. You know, you can bring a horse to water, but they'll always read the literature to suit their own fancy. So next time ask a trauma surgeon to see the patient ! I seem to recall you suggesting doing angio's on these patients precisely because they may not need vascular reconstruction despite the lack of a palpable pulse. Have you changed your mind or did I get that wrong? My own predeliction if there's no pulse and a clearly threatened leg is to angio them in the OR. If they're warm I lean to making a pit stop at Radiology first a) because they get better grams, and b) because a subset may exist that will benefit by some type of IR. 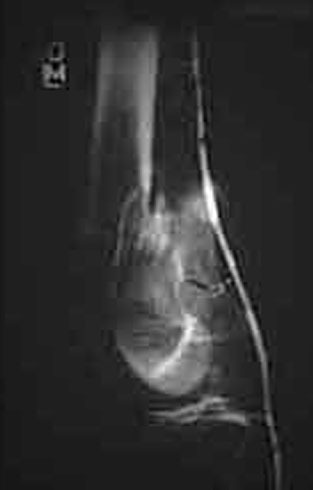 You remember half-correctly --- in general, the presence of hard signs in a limb with a skeletal injury mandates angio -- unlike simple penetrating limb trauma--because of a very high rate of false positives -- i.e. no vascular injury in the presence of hard signs -- thus allowing you to avoid unnecessary vasc exploration in the majority of these patients who don't need it. False positive rates in this setting are as high as 87% (Applebaum et al out of that bastion of soap-selling, USC, 1990, Am J Surg). However, in the particular subset of posterior knee dislocation, the false positive rate of phys exam is much lower, but still somewhat substantial-- about 25% (Feb 2002 Surg Clinics North America, Popliteal Artery Injuries, and Miranda et al, Feb 2002 J of Trauma). So, there is still good reason as a general rule to get a preop angio in knee dislocation presenting with hard signs, as it still may allow you to avoid unnecesary limb exploration in 25% of these patients. I have no problem with Ortho doing this in the case posted. 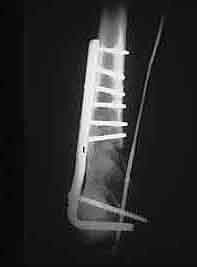 However, with such a stark and obvious presentation as described, with no pulses and a cool insensate foot, I would have no problem either with just going to the OR -- there is not much doubt in this particular instance. Pays your money and takes your choice here -- if there is some question -- get an angio. With popliteal artery trauma, as this case showed, there is not much room for error -- time can be critical -- which is why if you want an angio, it is best done by YOU with a perc injection at the groin right on the OR table with the patient prepped and ready to go, NOT by calling in your angiographer -- it is well documented the latter takes at least 90 minutes to 3 hours in the most experienced trauma centers (including ours), vs 5-15 minutes for the former. Sorry, Sal, but this is the state of the art around this country, according to the published literature. So there are two reasons for me saying I would have just gone right to the OR with the patient posted, whether or not an angio was desired. 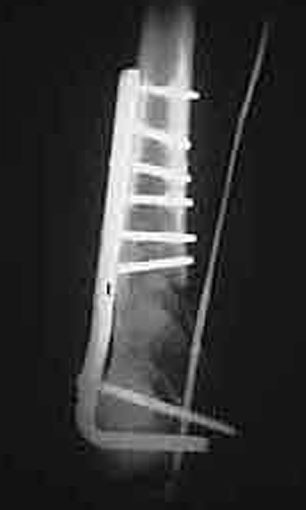 Now--the real bone of contention, despite all published literature -- ALL -- supporting our stance -- is that the ABSENCE of hard signs excludes a surgically significant vascular injury, and does so as reliably as any other diagnostic modality, even in these combined limb injuries, blunt or penetrating all alike in all published studies of this, including the specific circumstance of posterior knee dislocation. Angio is NOT needed in this circumstance. This is especially important, because most -- 80% -- of all PKD's present WITHOUT hard signs -- making the avoidance of arteriography in these cases a substantial economic and logistical issue in these resource-strapped times. The key element in this case was whether or not there was a palpable pulse. You say that "after reduction the limb was pulseless..." and "the vascular surgeon noted a diminished pulse". The presence of a pulse is a physical exam finding and is subject to the ability of the examiner to perform and record the exam accurately and reliably. In this case it appears that two different examiners came up with different results. "a diminished pulse" should be clarified to say specifically that a "pulse was palpable, but diminished". A pulseless extremity could be (inaccurately) described as having a diminished pulse. Furthermore, you don't mention any subsequent monitoring of the pulse. When, if ever, did it disappear? Data suggests that the ability to accurately monitor the presence of a pulse is an important determinant of outcome. If it is not possible (for whatever reasons) to accurately monitor the presence of a pulse then other studies may be helpful. The other studies will likely lead to some unnecessary (and potentially harmful if complications occur) procedures. But that is the price paid to prevent the sequellae of arterial disruption. The ability to accurately assess, record and monitor the presence of a pulse is extremely helpful in the effective management of knee dislocations with vascular concerns. This is a common problem. Vascular surgeons are used to dealing with diseased vessels which act differently. They are not as up to date on the Trauma Vascular literature therefore, it is best to find a Trauma Surgeon who can sew vessels. If you can't find a trauma surgeon then work to inform your vascular surgeons. I thought I would attempt a flow diagram of this thread thus far, As Jack Wilber says in his OTA BFC Lecture it is important to get this all worked out between the disciplines ahead of time. I take your point - 100% - that reperfusion goes first. Vive la shunt. I know that you will object to the placement of definitive skeletal repair prior to definitive vascular repair - but I have seen (in my own hands as well as those of others) disruptions of perfectly done definitive vascular repairs secondary to reduction manuevers. Call us what you will, __it happens. If it was difficult to get the vascular surgeon with marginal trauma interest to become involved in the first place (which unfortunately is not uncommon - similar to your angio availability reality-check apology to Sal) - there can be some substantial delays in arranging a redo restoration of bloodflow with more resection of vessel- particularly if ortho does not feel comfortable re-introducing the shunt. I just have to make this point--You can't excuse delaying reperfusion (NOT necessarily definitive vascular repair--REPERFUSION) under any circumstance. Because it is hard to do, or hard to convince your vascular surgeon, or you are afraid of some disruption or other--is beside the point. The RIGHT thing to do is always reperfuse first. Now in some limbs you should NOT do this thru definitive vascular repair initially--if the fracture is unstable, yes, you can expect disrupted definitive vascular repair later iwth a lot of skeletal manipulation, and skelto should be stabilized before definitive vascular repair--BUT--BUT!--reperfusion must STILL be done first--in this case, by shunting, followed by skeletal stabilization, then definitive vascular repair. The confusion over this issue is by equating reperfusion with definitive vascular repair. Think in terms of reperfusion by any means rather than getting hung up on definitive vascular repair. My piece in the EAST practice managment guideline makes this clear. Anytime an orthopod disrupts a vascular anastomosis--to me, is an indication of poor judgement in not doing the right form of reperfusion first--pure and simple. It should never mean "don't do reperfusion first". Secondly, there is some hysteria component here--if a repair is disrupted, it merely needs to then be fixed--or better yet, simply shunted and come back later--not a single instance of limb morbidity has yet been documented to occur if a disrupted repair is then fixed promptly. As long as I am asking questions - is there a problem in using a tourniquet in patients with non occlusive intimal flap? I rarely use tourniquets in trauma anyway. Good flow sheets. I wish the avg vascular surgeon would do the on table angio in the face of hard signs. I think the call for the angio in x-ray is a tactic to let them finish office, or turn 12 am into 4 am. This is a good question about tourniquets, and of course the issue has not been studied--so everyone develops their own imaginary prcedures based on imagined fears. There is no answer to this. If you feel a tourniqet is necessary, you must do what you have to do--just be careful to monitor the pulses post-procedure, as I'm sure you normally do. Best in this scenario not to use tourniquets in the setting of trauma--certainly I know from watching our own orthopedic colleagues that they are not necessary. I will shoot in a question from the far away land and hope you guys will take it. Bill, in your flow diagrams I did not see a definite place for fasciotomy. Will you advocate a prophylactic faciotomy or wait for signs of compartment pressure rising before instituting fasciotomy? In our unit quite frequently we do fasciotomy even before revascularisation. May be we get the patients a bit late than your centres! I stand corrected. The flow diagram has been revised. Routine fasciotomies following revascularization are standard of care according to EAST trauma management guidelines. I'd agree that the tourniquets aren't technically necessary, and our orthopedic colleagues do love to see that bleeding as they ream, to keep the little osteocytes from being overheated. But the extra blood loss, the required replacement (that gets delegated to anesthesia), and the transfusions of donated RBC associated with using blood as an expendable coolant for the bone probably are deleterious to the patient. It may not matter much for the isolated femur fracture, but in some of our multi-trauma patients, we should probably be pushing the orthopods harder to look at the patient as a whole, rather than as a mass of osteocytes with their supporting environment. A few months back, I heard a talk from Israel where they looked at ~85 patients (active duty casualties, a selected population) with LE injuries upon whom they used tourniquets to transport the patients back to trauma centers (The distances involved usually mean they take them back to the city according to the presenter.) They had two limb losses which were attributed to the initial wounds and no others. Not huge science but interesting. Their point was that they may not have been necessary but, if transport is expeditious, it wasn't an amputation sentence to use them. Since care can be minimal on helicopter transport out of a firefight, (ours won't be medical-equipped helos) they didn't trust pressure dressings in route, it seems. We have been discussing this since I am going on a "trip" very soon. Tom-- Whatever works is the best to use--I have nothing intrinsically against tourniquets in a setting like this, but if you read Norm Rich's vast experiences from Vietnam, he has condemned them and found them to be of more harm than good in combat settings--they rarely can be placed tightly enough to stem arterial flow, but always cause venous outflow congestion, making the worst of all worlds. This is almost without exception what all others have written. We see many transports here in Jacksonville over long distances with pressure dressings that work just fine for arterial bleeding in the lower extremity -- prehospital personnel are probably the best source for tips on how to make an effective pressure dressing for this purpose. It has just not been my experience that direct pressure can ever steer you wrong in an extremity. Of course, our prior discussion was in a different context--we were talking about the intra-op use of tourniquets, not preop. Under internet worm attack as we were for the last few days (email's partly up, but I still can't get to the web) I missed part of this string. From your description of the original presentation it doesn't sound like we have any real disagreement here. From a practical standpoint, we seem to get angiograms in Xray faster than you do, but we have more trouble rousing the fluoro tech to come into the OR. Other than that, we're on the same page. At the OTA Specialty Day 2/8/03 - part of the AAOS Annual Mtg in New Orleans last week - Dr. William Mills was invited to re-read his paper on ABI's and knee dislocation . Congratulations on having your OTA paper selected as a highlight of the OTA 2002 Meeting. I was very interested in its re-reading in New Orleans because of a recent OTA-AAST discussion on the mailing list. During that discussion, Eric Frykberg (who has been writing the EAST guidelines on vascular injury), in reply to a question by Jim Carr about the place of doppler exam (to which I tacked on a reference to your paper about the place of ABI's) said that nothing in the absence of hard signs above and beyond monitoring the physical exam is required. There is no place in the EAST algorithm for ABI's. During your presentation, I thought I heard you say that you had 1 case with normal pulses but an ABI < .9 which proved to have a vascular injury. Did I misunderstand this? If there was an injury, was it a "benign" non-occlusive intimal flap type injury which Eric Frykberg says can be safely monitored by physical exam and managed conservatively? However, if this was an occlusive or extravasation injury it would seem to refute his claim that physical exam is all that is required to detect a vascular injury which needs treatment. Thank you for the message. Our paper dealing exclusively with knee dislocation demonstrated a sensitivity, specificity, and PPV of 100 % using an ABI < .90 to identify surgically significant arterial injury. An ABI >..90 had a NPV of 100 %. We compared this to physical examination findings, particularly pulse exam. Physical examination had a sensitivity, specificity and PPV of 91 %, 89 %, and 77 % respectively, The NPV of a normal (symmetric) pulse exam was 96 %. Therefore, in this particular study the ABI proved superior to clinical exam. We actually conclude that it (the ABI) should be considered an extension of the clinical exam. It is easy to perform, takes one to two minutes, and at least according to our data, provides useful information. You are correct in recalling that one of our patients had a symmetric pulse but a surgically significant intimal flap as well as chronic SFA stenosis and underwent surgical treatment for both by our vascular surgeons. As you point out this information has been presented at the OTA and AAOS, and a manuscript is currently in review for J Trauma. I continue to be frustrated by this type of "study"--although I do commend those who continue to study noninvasive testing for extremity injury in such settings as this where info is lacking, it really needs to be done in the context of the available evidence on this issue. I do not refute that Doppler exams are quite accurate--but that they have never been shown to offer any better accuracy than physical findings alone. As an illustration of this point that accuracy by itself is no longer the issue--surgical exploration of every popliteal artery at risk is extremely accurate--no one would dispute that--but of course that does not justify doing so. Why? Because we do not need to do that much to get the same results. Think about it. Same with Doppler exams--the absence of hard signs alone (and--we are far beyond the point of just talking about pulses, which is only one of the 5 hard signs which must be considered as a unit) excludes vascular injuries requiring surgery with close to 100% accuracy--as well as any other modality applied. In the presence of hard signs, of course we should all agree that Dopplers are superfluous--these cases must be angioed in the setting of knee dislocation or complex limb trauma, and go immediately to the OR in the setting of simple penetrating trauma. Thus, accuracy is not the issue--it is whether a test is necessary in the setting of a lesser modality that provides the same info as accurately. I can only conclude that this literature must be unknown to those who make the claims I see from this presentation--I wonder if any of this literature of the past 14 years was even cited in this paper? If not, there is a gaping flaw in the assertions being made, because it failed to reconcile such findings with contrary findings of these other studies. This data I refer to was validated in a 1998 article in the J of Truama reporting a 5-10 year followup of nonop observed nonocclusive injuries, most of which were intimal flaps. What exactly is a "surgically significant" intimal flap? I have never heard that terminology, what are the criteria for making this judgement, and where are these criteria validated and published? I suspect this was an arbitrary decision made in a particular case based on no data, only on how "bad" it looked on angio, which is not valid and has been refuted by the data I am referring to. Certainly it skews your accuracy data to include this as a missed injury, or false negative--if you are at all acquainted with the literature, you should know this is improper. If it is nonocclusive and asymptomatic, then it can safely be watched, and not even require detection. If it was not watched, that does not invalidate nonop observation--it only demonstrates an improper application of nonop observation. There is an extensive literature on nonocclusive arterial injuries that show intimal flaps are largely benign in their natural history, no matter what the size or orientation, the abundant refs of which I would be glad to supply to validate this assertion (once again, in addition to the number of times I have already done this on this list.) 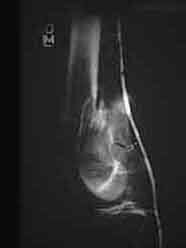 Also, the finding of a "chronic SFA stenosis" in this limb completely invalidates any attempt to assess the intimal flap--it by itself was judged to need surgery, and had nothing to do with the trauma in question. THIS was what was picked up by ABI, NOT the intimal flap! Certianly this is quite clear to all of us? Another point on ABI's--until they are PROPERLY validated in the setting of complex limb trauma as we are discussing, by direct comparison to phys exam USING THE APPROPRIATE CRITERIA that are well defined of hard signs and nonop observation, any use of them, and judgements made from their results, are experimental,and dangerous. Was informed consent given to these patients on whom an unproven procedure was being applied to their management? If it is answered that this is a proven procedure, tell us what prospective study gave such proof of efficacy IN THIS SETTING? Did the IRB at this institution approve this study? Also, how easy a test is to apply should never be a justification of its use, and should not even be part of the discussion of its validity. After all, by that logic, physical exam alone should win hands down, given its equal accuracy in every study of it in this setting, no? Thanks for keeping us abreast of this discussion, Bill. And one other point, Bill--one anecdotal case can never in itself refute a general principle, contrary to what you stated. I am responding to Dr. Frykberg's comments and appreciate your forwarding them. I am amazed that such a condescending condemnation of our paper has been delivered by someone who has neither heard the talk nor read the paper.. I know Dr. Frykberg has given this topic much study. We reference his publications in our talk and manuscript. However, others have given the topic consideration as well. Dr. Frykberg states that the ABI (doppler exam) has never been shown to offer better accuracy that physical exam. In our paper the ABI was more accurate. To equate the accuracy of the ABI to the accuracy of surgical exploration is nonsense. And that the ABI is non-invasive, rapid and was more accurate in our study does justify using it. To conclude that we are unaware of the world literature regarding this topic is not dialogue, but inflammatory and insulting. Further comments from me would just be the same. IRB approval was obtained for the study. Many references are made by Dr. Frykberg regarding the prospective data which would support using the ABI in this setting. That was the primary purpose of this paper. It is prospective, and it compares physical examination to ABI. > I am responding to Dr. Frykberg's comments and appreciate your forwarding them. I am amazed that such a condescending condemnation of our paper has been delivered by someone who has neither heard the talk nor read the paper. If you read my first sentence, I said I welcome such studies of a scantly researched area of vascular injury. And I certainly do look forward to reading your paper--please provide the reference? The intention of these AAST-OTA cross-posts (whether they pertain to pelvic injury, combined vascular/skeletal trauma, skeletal fixation of the polytrauma patient, etc) is to promote rational, premeditated, cross-disciplinary discourse which works toward consensus and effective, collaborative management.